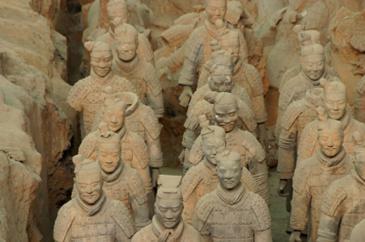 Discovered in 1974, the Terracotta Army of over 7,000 warriors stands guard over Emperor Qin Shi’s tomb in Xian. Constructed in 209-10 BC by approximately 700,000 craftsmen, no two figures are alike. Immense, sweeping, complex, chaotic…..each of these adjectives understates the scale and intensity of China.Bordering on 14 Asian countries, the Middle Kingdom is the starting point of the Silk Road, a trading route that first linked China to the Mediterranean Sea in 114 BC. Unleashed from a debilitating, self- imposed cocoon in the early nineteen-eighties, this giant’s subsequent explosive growth is moving the country toward center stage as an economic superpower. From the strife-ridden rule of Mao to the booming economic prosperity of today, China’s transformation from abject poverty to emerging superpower has been nothing short of remarkable. Yet, for a nation that gave the world inventions such as paper, gunpowder, the compass and printing, this rise should not really be surprising. Rich in history, and proud in its culture, embraced by both mountains and the sea, and abounding in all of nature’s magnificence, the country continues to grow. The world is witnessing the reemergence of a submerged giant. ‘Let a hundred flowers bloom,’ said former Chairman Mao Zedong. Indeed, China as a nation is beginning to do just that. In China’s rich history truly lies its present – and in learning from its arid past lies the key to its future. China’s civilization is one of the world’s oldest – a proud history that runs back more than 4,000 years. Centuries of dynastic rule shattered stability and the nation constantly had to ward off the threat of invaders such as the Mongols. China’s last dynastic rule began in 1644 with the Qing dynasty, a reign that dominated the country until an ignominious slide in the 19th century. With its demise began one of China’s worst periods – the country suffered massive social strife, economic stagnation, an exploding population growth, and increasing assertion of Western influence. A greedy Britain crossed swords with the Qing, resulting in the Opium Wars. This led to the humiliating secession of Hong Kong to Britain on lease for a 99-year period. China then disintegrated into fragments with various warlords exerting control over their own areas. Increasing public opinion turned against the dynasty, and a revolutionary called Sun Yat-sen formed the Kuomintang or Chinese Nationalist People’s Party. The Republic of China was created, ending the Qing dynasty’s rule. Peace, however, was a long way in coming. Sun Yat-sen’s death saw the rise of a Kuomintang military commander, Chiang Kai-shek, and the beginning of a long struggle with the Chinese Communist Party (CCP) led by Mao Tse-tung. The Japanese invasion of China further plunged the country into turmoil. Japan’s brutal 14-year occupation of China from 1931 to 1945 forced the two rival parties to unite, but eventually the Mao-led CCP triumphed. The Kuomintang fled to Taiwan, and Chiang Kai-shek proclaimed Taiwan as the Republic of China, a title that the island continues to proclaim even today. Mao proclaimed the founding of the People’s Republic of China on October 1, 1949, and ruled with a stranglehold until his death in 1976. 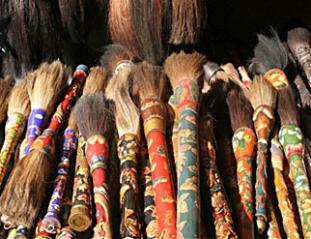 Brushes used for the ancient Chinese art of calligraphy may be made from bamboo or even ivory, silver, or gold. The CCP, with 70.8 million members, continues to exercise stringent control with the Lenin model of one-party rule. The first constitution of China went into effect in 1954, with the government adopting the present constitution in 1982. The head of state is the President who is elected to a five-year term by the National People’s Congress. Current President Hu Jintao’s role remains largely ceremonial, while real power is vested with the Premier Wen Jiabao. Home to the world’s longest tradition of writing, China’s achievements for the past 3,000 years remain a source of great pride to a people whom until recently had little to love about their recent past. The ancient tradition of calligraphy has fascinated those in the West for whom the brush of silk on paper and the resulting swirl of letters are so different from anything they have ever known. Chinese folk music too has had a long history, and the 18th century brought with it the now-famous style of drama known as jingxi or the Peking Opera. Dance was an important part of entertainment – especially at the imperial court. Ancient martial art forms such as Kung fu, Taiji, and Wushu continue to remain popular. Han Chinese remains the dominant ethnic group and there are 55 other nationalities including Zhuang, Manchu, Hui, and Miao, Uygur and Tujia. With more than 300 million farmers, China ranks first in agricultural output. The standard language is Mandarin or Putonghua, while major dialects include the Yue or Cantonese, Wu (Shanghaiese) and Minbei (Fuzhou). Although officially the nation is atheist, religion has always played a part in the lives of the Chinese, with Buddhism, Daoism, and Confucianism exerting considerable influence. Chinese cuisine is one of the most varied in the world, and dishes such as Peking Duck have become cult favorites across the globe. From the last five decades stretching from the beginning of Mao’s repressive regime to Deng Xiaoping’s ‘get rich’ era to present day Jintao’s relatively stable rule, China’s economy cannot be compressed into mere words and cannot be isolated from its chaotic history. Most importantly, the country’s economy cannot be separated from Mao. When it took over the country’s reigns in 1949, the CCP’s initial rule in China was one of economic growth. The series of Five Year Plans helped to sustain the economy initially, but Mao then undertook a series of economic, political and cultural initiatives that had disastrous consequences. Beginning with the anti-intellectual movement of 1957 poetically dubbed “The Hundred Flowers Campaign,” to the disastrous Great Leap Forward which lasted from 1958 to 1959, and the political experiment called the “Great Proletarian Cultural Revolution” from 1966 to 1976, Mao’s combustive influence drove the country to the brink of ruin. The Great Leap Forward was meant to thrust China onto the global stage by raising industrial and agricultural production. However, Mao’s targets were unrealistic; his implementation of the plan nothing short of bizarre, and the result was one of the worst man-made famines in history. Isolated from the world, China struggled. 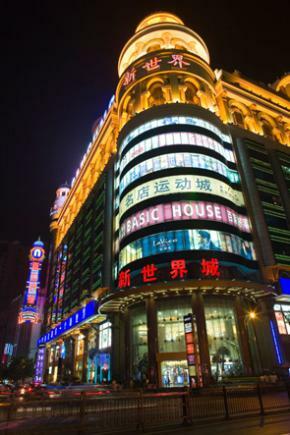 China’s planned economy soon began to change. Reforms advocated by Deng Xiaoping eventually began in the late 1970s after Mao’s death. People’s communes were abolished by 1984—after more than 25 years. Government control of the economy gradually reduced. A more market-oriented economy emerged with a huge flux of foreign investment, although the state-owned sector continues to remain the backbone of China’s growth. Beijing now prefers to call this a “socialist market economy.” Growth has been spectacular and GDP quadrupled between 1978 and 1998 – at an average annual rate of 10.2% in the 1980s. Now the world’s fastest growing economy, China ranks only second behind the U.S. with a GDP of $7.9 trillion in 2008 when measured on purchasing power parity. Equally staggering is the fact that China alone has accounted for over 75% of poverty reduction in the developing world over the last 20 years. Restraints on foreign trade were also relaxed when China joined the World Trade Organization in 2004. Exports continue to be a major driver of growth, with the U.S., Hong Kong, Japan and Singapore as China’s main trading partners. Despite explosive growth, China remains a developing country with a low per capita income. 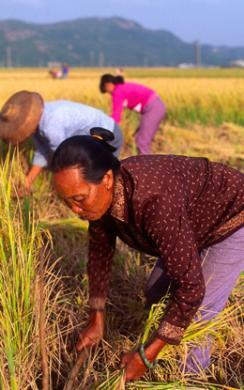 Agriculture is the leading occupation and involves more than 50% of China’s 1.3 billion population. China is the world’s largest producer of rice and wheat and a major producer of sorghum, millet, barley, peanuts, corn, soybeans, and potatoes. The country also ranks first in the production of cash crops such as cotton and tobacco and is the biggest producer of red meat. Besides being one of the largest producers of minerals, coal being the most abundant of them, China is also rich in iron ore, and is the world’s fifth-ranked oil producer. Industrial production grew at a rate of 12.9% according to 2008 estimates, and accounts for 47% of China’s GDP. Key industries include mining and ore processing, toys, electronics, textiles, automotive, cement, consumer products and telecommunications. Figures alone tell a startling tale – a nation that barely knew how to feed itself is now an industrial giant leading the world in the production of steel, aluminum, copper, cement and coal. In January 2009, China surpassed the U.S. as the world’s biggest auto market with vehicle sales reaching 7.2 million in the first seven months of this year (2009). In 2007, China became the world’s top producer of merchant ships. 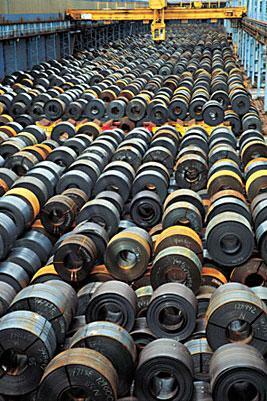 China has overtaken Japan and the U.S. as the number one steel producer in the world, with a yearly output of 489.0 million tons. At the same time, the services sector, which had a weak foundation, has picked up. Growing at a rate of 10% annually in the past 25 years, services accounted for 40.1% of the GDP in 2008. Statistics alone may not tell the true tale – but a telling sign is that the World Bank’s International Comparison Program determined that, in China, one only needs about Yuan 3.4 to buy what would be a dollar’s worth of goods on the U.S. market. This has been one of the key drivers of China’s economic spurt – its ability to produce the most goods at the lowest price. As the world’s fourth largest and most populous nation, China’s population growth of 0.6% is maintained by a controversial government policy that allows only one child per family with allowances for a second child in rural areas. Its enforcement has been equally controversial – and varies, relying largely on social compensation fees to discourage more births. Consequently, and worryingly, China is one of the most rapidly aging countries in the world. Estimates made in 2009 indicate a birthrate of nearly 14 births per 1,000 and a death rate of 7.06 per 1,000. Life expectancy at birth was estimated at 74.3 years for women and 71.0 for men, or 72.5 years overall. The literacy rate is around 90.9% based on 2000 estimates (CIA World Factbook). In 2009, according to the CIA World Factbook, China had a total labor force of 807 million, the largest in the world. However, that figure covers a serious problem – imbalances between the private and public sector mean that state-owned enterprises have more workers than needed. From the old China where jobs were assigned, regulated, and controlled by the government, the new China now features more freedom but consequently more insecurity. 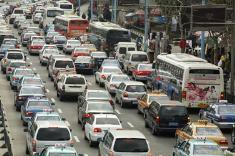 China might jump ahead of the U.S. as the world’s leading producer of greenhouse gases by 2010. The world financial crisis of 2008 pulled China’s meteoric GDP down considerably. The Communist Party had managed to stifle any semblance of revolt by promising and delivering the kind of economic growth that would make struggling European economies turn green with envy. Yet, as the financial world imploded, China found that its export-oriented model would come under severe duress. This prompted a nervous government to introduce one of the largest stimulus programs ever in order to guide China through 2009 and 2010. 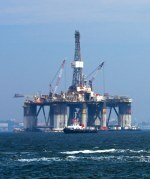 The $586 billion package, introduced in November 2008, was primarily aimed at shoring up domestic demand. Included in the package were social and infrastructure spending, earthquake relief as well as extensive subsidies to farms and industries struggling in the wake of the economic downturn. It is that massive stimulus package which helped China achieve a growth rate of 8.9% in the third quarter of 2009. The Chinese central bank also loosened its monetary policy, cutting interest rates, reducing reserve requirements and providing easier loans. Despite the obvious pumping of state money into the country’s economy, China is definitely showing signs of a revival with private real estate investment picking up and the consumer sector showing increasing resilience. The first three quarters of 2009 also saw a 15.1% rise in retail sales along with a 9.3% spike in income in urban areas and an 8.5% increase in rural areas. Of course, a great deal is dependent on a swift global revival, considering that China still has not managed to wean itself from its over-reliance on exports. Export volumes remain low – down an estimated 20% on a year ago basis in April-May 2009. Financial markets have stabilized in 2009 after the shock crash of 2008, but concerns have been raised as to the extent of a full global recovery. 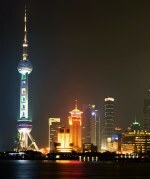 As of June 2009, the World Bank predicts that the Chinese economy will grow at a rate of 7.2% in 2009 and 7.7% the next year. Expectations are that China will manage to overcome this economic tsunami – it is with that expectation that stock markets in China rallied in 2009 – having risen almost 50% since the end of 2008. Liquidity in the domestic financial market and the eased monetary stance helped attract investors again, with turnover in volume terms surpassing even the levels of early 2007. Despite the turmoil of 2008, the world gaze remains firmly on China. Yet, income disparities are rising. Much of the growth has been concentrated along China’s eastern coast and in the south. A large portion of the country’s remote and rural northwest remains poor and underdeveloped. Impoverished farmers are flocking to China’s booming cities – much of the former Shenzhen fishing village’s amazing transformation into a world manufacturing hub can be credited to the province’s huge population of migrants. In 2009, it was estimated that China was experiencing a –0.39 per 1,000 population net migration rate, including a large and growing ‘floating population’ or liudong renkou. That figure is causing a grave imbalance – the country has a surplus of nearly 200 million agricultural workers. The global recession added to the woes of China’s migrant workers, resulting in a series of labor protests across the country. Based on current trends, China could become the world’s largest exporter by the beginning of the next decade (2010). Yet, the financial crisis and its aftermath have taught China that an overt reliance on an export-oriented model may prove to be detrimental in the long run. Stimulating domestic demand on a consistent basis may prove to be a challenge for the Communist Party. Also, surging inflation in the form of food prices continues to be a source of worry. Inflation hit an 11-year high of 7.1% in January 2008 but dropped quickly thereafter, even stoking fears of a deflationary spiral. Although inflation remains under control at 0.5% in August 2009 compared to the same period a year before, controlling food costs might be one of the biggest challenges that the government may face yet. Corruption remains an endemic curse – of the 180 countries surveyed by Transparency International, China ranked 72nd on the 2008 Corruption Perceptions Index. China’s massive economic boom has had severe repercussions in the form of a deteriorating environment. From having the warmest winter in 50 years in 2007 to one of the most severe snowstorms in 2008, climate changes are wreaking havoc. China has some of the most polluted cities in the world, and air pollution levels have already reached alarming levels. Nearly 750,000 people die due to air pollution induced problems every year. Around 360 million people lack access to safe drinking water, with more than 70% of China’s rivers and lakes severely polluted. The country’s rapid growth is forcing the government to invest heavily in energy – China remains one of the world’s biggest producers and consumers of coal – and initiatives such as the $25 billion controversial Three Gorges hydropower dam project might cause further disruptions in an already fragile environment. Health care remains an issue. About 80% of the health and medical care services are concentrated in cities, and timely medical care is not available to more than 100 million people in rural areas. Potential epidemics such as bird flu and the more recent swine flu might cause unimaginable economic consequences if allowed to spread. 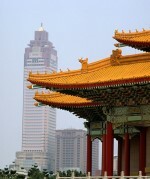 Nanjing is situated in one of China’s most important economic zones, the Yangtze River Delta. Relations with key nations remain volatile. Dealings with the U.S. are improving and China’s growth as an economic giant is granting the country the respect it deserves. However, a woeful human rights record remains a blot on the CCP’s performance. The media remains strictly controlled and democracy is a distant speck on an even further horizon. China has set up one of the largest and most sophisticated network of controls for Internet policing – it is estimated that around 30,000 police officers routinely monitor web traffic, forums, and even personal e-mails. Open critics of the government are often arrested and sentenced under flimsy pretexts. Hosting the successful 2008 Olympics may have enhanced the government’s image a bit – but granting political, cultural and literary freedom to its citizens might be the one final way of gaining lasting acceptance in the international community. Meanwhile, ethnic riots continue to surface periodically, with violence in Urumqi, the capital of Xinjiang Province, leaving hundreds dead earlier in 2009. In a small village called Haidong in Qinghai Province, dust from the distant Sahara swirls across the mud-caked houses. The air is dry, stifled and hot. A small child of seven walks up the steps leading to the house carrying a pot of water from a well more than three miles away. At night, no bright lights adorn the dark night. In far away eastern China, in Nanjing, Jiangsu Province, a wild party is in place. The lights of the former capital entice. Swirl. Alcohol flows, as does the money. Haidong, it seems, does not exist in China. Yet in reality, it does. This is China’s biggest test of faith – her future will have meaning the day Haidong meets Nanjing.